L02 BACOLET: Spectacular 1.6 acres of prime land with 400 feet BEACH FRONTAGE. Only 5 minutes from Scarborough and all amenities, 10 minutes from the nearest golf course and 20 minutes from the airport, Approvals for 5 residential lots with beachfront or sea views ranging from 10,346 sq.ft to 34,300 sq.ft.now available. Please inquire for further details. L09 BACOLET GARDENS: 12,495 sq.ft. of flat land with partial sea view in a quiet residential area. All amenities. Within walking distance to popular Bacolet beach and the capital town of Scarborough, shops & restaurants. L100 BACOLET POINT: 60,000 sq ft plot starts on the beach and raises to flat land as in the photo.​ Permission for Resort development and will make a lovely Home, Condo or Hotel site.​ Very private. Great beach. L13 BLACK ROCK: 11,871.9 sq ft. in residential area. Two minutes walk to popular Grafton Beach. Close to Golf Course, shops and restaurants. 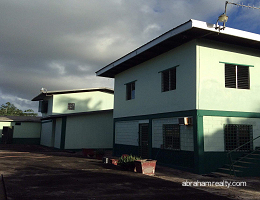 L80 BON ACCORD: (Canaan) 6458.5 sq.ft. of flat land with all amenities. Only 5 minutes to popular Store Bay and other major beaches on the Caribbean coast. L117 BON ACCORD: 1 LOT with 3-Bedroom house (to be built) for sale in gated community in the popular Bon Accord area. The lot is approximately 8,100 sq. feet. The house is 2600 sq.ft. Within walking distance to all amenities and major beaches on the Caribbean coast. Gated complex. Good investment property. 4 LOTS AVAILABLE 2107.6m2 overlooking Englishman's Bay and Parlatuvier. L23 COURLAND BAY: 27,000 sq.ft. flat land in nice quiet residential area with partial sea view. Walking distance to beautiful Turtle beach. All amenities. 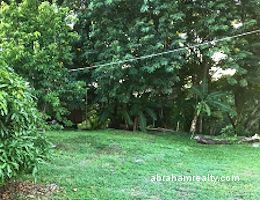 L24 COURLAND BAY: 1/2 acre of flat land located in a quiet cul-de-sac in the popular Courland Bay Development, just minutes from beautiful Turtle Beach. L25 COURLAND BAY DEVELOPMENT (Phase 2): 19,000 sq.ft. gently sloping land in quiet residential area. All amenities. Only 3 minutes from beautiful Turtle beach. L125 COURLAND BAY: 23,200 sq.ft. flat land in nice quiet residential area. Walking distance to beautiful Turtle beach. All amenities. L27 DELAFORD: 49 acres of lush forested land with an existing 3-bedroom house and two 1-bedroom cottages. Only 5-minutes drive to beautiful King's Bay with it's deep water harbour. Ideal for ECO TOURISM RESORT! L29 ENGLISHMAN'S BAY: Residential development only 5 minutes drive to beautiful Englishman's Bay beach, also suitable for mooring of yachts. A few lots with existing houses are available. L73 IDLEWILD: 17,738 sq.ft. (1647.8 sq.m) gently sloping land with lovely view of Scarborough and the ocean. L82 KILGWIN: 49 ACRES of Freehold land with approximately 200 metres of beach frontage. Within 10 minutes from Crown Point airport, Scarborough, Tobago Plantations Resort, Lowlands mall and major beaches. Electricity and Water available from mains servicing the area. Approvals for a Boutique Hotel with 75 rooms and luxury villas will be favourably considered. Please inquire for further information. Serious inquiries only. L70 LAMBEAU: 31,000 sq.ft. flat & sloping lot with great sea views located across the road from the sea. Central location All amenities. Planning Permission for 9 townhouses. L126 LES COTEAUX: 5 acres on Franklyn's Estate, Les Coteaux, Sloping and flat. Zoned residential. 10 minutes to all amenities. L90 MORIAH: - CUFFIE RIVER, RUNNYMEDE 5 ACRES next to Cuffie River Nature Center. L44 MT. IRVINE: 31,000 sq.ft. of land with magnificent panoramic views of the Caribbean and Buccoo Reef. All amenities. 5 minutes to popular Mt. Irvine beach, restaurants and shops. L98 MT IRVINE: 43,000 sq.ft of flat land with all amenities in the prestigious Mt Irvine development. 3 Lots being sold together - Lots 19, 20a & 20b. "MOTIVATED SELLER"
L120 MT. IRVINE: 1/2 acre flat land with all amenities. 3 minutes to popular Mt. Irvine beach, restaurants and shops and 15 minutes to the airport. L47 MT PLEASANT: Lot 9 - 10,474 sq ft of land - gently sloping with panoramic views of the Caribbean Sea, Buccoo Reef, Nylon Pool and Pigeon Point. Good road access, electricity and water. ​L105 MT. PLEASANT: 10,800 sq.ft flat freehold Land in good residential area. 10 minutes to nearest beach. All ​Amenities. L50 PARLATUVIER: 12,000 sq.ft. lovely seafront lot. L97 PATIENCE HILL: 12,315, SQ.FT. of forested sloping land with all amenities. 20 minutes to airport, Scarborough, beaches. Good road access, electricity and water. L103 PATIENCE HILL: 1 acre sloping land with magnificent Views of southern Tobago to Trinidad. All amenities. L52 PROSPECT: 25,000 sq.ft. of sloping land in nice quiet area with all amenities. Only 10 minutes to the nearest beach and the town of Scarborough. L54 ROXBOROUGH: 10 acres of unspoilt forested land with views of the sea from the highest ridge. L55 ROXBOROUGH: 40 acres of unspoilt land with spectacular views of Queens Bay, Goat Island and the village of Roxborough. Within close proximity to Charlotteville, which has its own deep-water harbour. Outline approvals for an eco tourism venture. L123 SIGNAL HILL: 9,200 SQ,FT, flat land with sea view. Close to all amenities. 20 minutes to airport, 15 minutes to beaches and Scarborough. L112 ​STUDLEY PARK: 2.07 acres with 250 feet of BEACHFRONT approx 2 miles east of of Scarborough with outlining permission for housing, commercial or resort. L94​ ​TOBAGO PLANTATIONS: ​22,000 sq.ft. flat ​SEAFRONT ​land in secure gated community​. All amenities. ​Fifteen minutes to the town of Scarborough or the Airport. L115 TOBAGO PLANTATIONS: ​21,208 sq.ft. flat ​residential ​land in secure gated community​ backing onto the Golf Course. All amenities. ​Fifteen minutes to the town of Scarborough or the Airport. L118 TOBAGO PLANTATIONS: ​22,000 sq.ft. flat ​residential ​land with lots of fruit trees in secure gated community​ backing onto the Golf Course. All amenities. ​Fifteen minutes to the town of Scarborough or the Airport. L119 TOBAGO PLANTATIONS: ​27,000 sq.ft. flat ​residential ​land in secure gated community​ backing onto the Golf Course. All amenities. ​Fifteen minutes to the town of Scarborough or the Airport. L121 Guyana: TWO INDIVIDUAL 47 ACRE LOTS: approx 7 miles from Crab island and 8 miles from the proposed location for the new refinery. There are currently 24 house lots on property already. Contact us for further details and prices.